Most homeowners don’t give mold much thought and when they do, it’s most likely due to the growing musty smell or appearance of mold appearing on the walls. There are hundreds of mold myths circulating online. In fact, there are enough mold myths and facts to create an interesting trivia game. Our mold experts at Valleywide Restoration have compiled a list of mold myths and facts to keep the residents and business owners of Gilbert in the know. That is why we have created a fun list of interesting facts and myths about mold. Mold Myth #1 – My home hasn’t suffered a water damage disaster, so I won’t find any mold growing. Fact: Mold spores are a natural part of our environment. They are always present, even in the cleanest of homes. In fact, mold spores can survive harsh environmental conditions, even dry conditions. Mold Myth #2 – All mold is bad and should be remediated immediately. Myth #3 – The only dangerous mold is black mold. Fact: According to the CDC, there are tens of thousands or more species of fungi that exist, and more than one of those species are dangerous. Listed below are just a few of the most common species. Alternaria – a mold spore that can enter the nose, mouth and upper respiratory tract. Alternaria has been known to cause allergic reactions and can most commonly be found in plant soil, carpets and other textiles. Aspergillus – a species of mold that is typically found in warmer climates with high moisture levels. Aspergillus can produce mycotoxins, which may be associated with disease in animals and humans. Commonly found in fall leaves, gardens, and compost piles. Cladosporium – Cladosporium usually finds its way into a home or office building via the HVAC system. Commonly found growing on textiles, wood, and other porous material. Cladosporium can trigger hay fever and asthma symptoms. Stachybotrys – Stachybotrys, is also known as toxic mold that produces airborne mycotoxins that can cause serious respiratory issues, memory and hearing loss, flu-like symptoms, and dizziness. Stachybotrys thrives on high moisture areas. Myth #4 – Mold can ruin your walls. Fact: Mold is constantly multiplying to survive, and this allows the microorganism to quickly spread through sheetrock and other porous materials, causing permanent damage. Myth #5 – Mold is either grey, green, or black. Fact: Mold is actually very colorful. 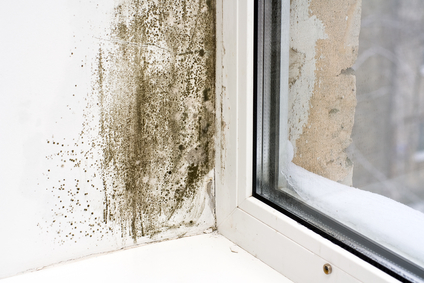 Mold can appear in a wide range of colors including white, black, grey, green, orange, white, yellow, red, and purple. If there is an excess amount of mold (more than 3 square feet) do not attempt to remove the mold on your own. 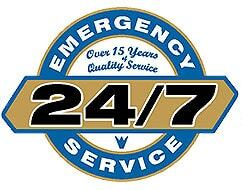 Contact a professional mold removal company. Wear proper protective gear when dealing with small patches of mold. This includes a face mask and respirator. We strongly recommend calling a professional mold removal company to handle any mold remediation tasks. Mold growth can be a sign of a hidden water leak. If the leak is not remedied the mold will continue to grow.